Heat oven to 375°F. Line large cookie sheet (without sides) with cooking parchment paper. Unroll dough on work surface. Press into 13x8-inch rectangle. 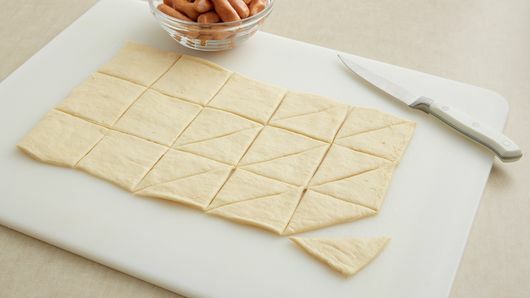 With pizza cutter or sharp knife, cut dough into 15 squares (about 2 1/2 inches each). Cut each square diagonally in half to make 30 triangles. Place sausage on short side of dough triangle, and roll up. 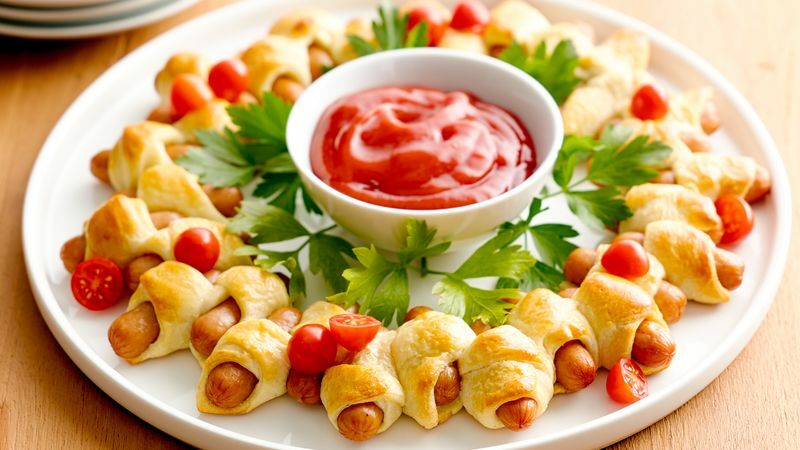 Place in circle with sides touching on ungreased cookie sheet with every other wrapped sausage extending out slightly. Leave about 6 inches for opening in center of wreath. Brush dough with beaten egg. Bake 12 to 15 minutes or until golden brown. Garnish with tomatoes and parsley. Serve with ketchup, barbecue sauce or honey mustard, if desired. If dough sticks to the work surface, sprinkle with a little flour. 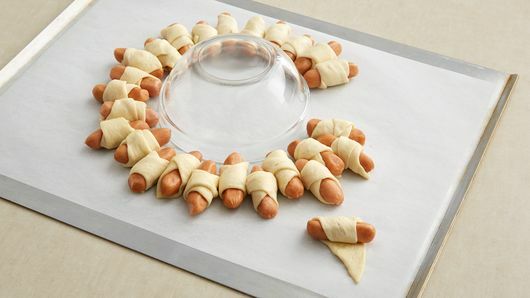 Use parchment paper to gently lift baked wreath onto serving platter. If desired, trim excess parchment.